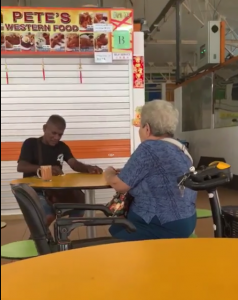 A video of a kind man paying the lunch of a woman on a mobility scooter at Clementi Hawker Center went viral, winning the hearts of many netizens. 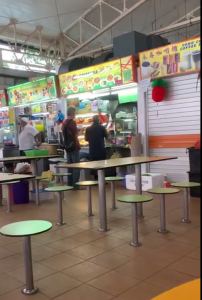 The kindness happened on the second day of CNY when most of the stalls at the hawker centre were closed. 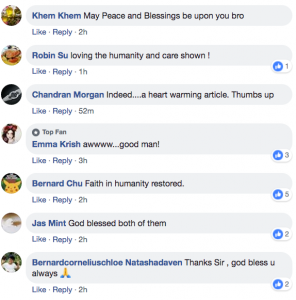 One Facebook user Ry Manz was able to capture the heartwarming gesture. 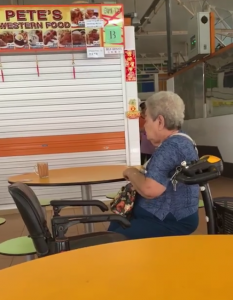 At 3 pm, at a table nearby was an auntie on a mobility scooter, deciding what to eat for lunch. She appeared to have difficulty in walking as well as she seemed not familiar with the stall’s food. She asked the man what would be good food to order in that stall. 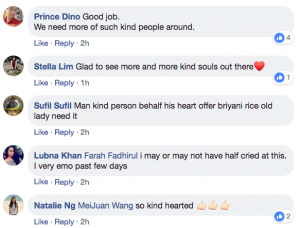 The man, who appeared to be a regular customer of the food stall, recommended biryani rice with chicken to her. But to auntie’s surprise, he paid the set for her. 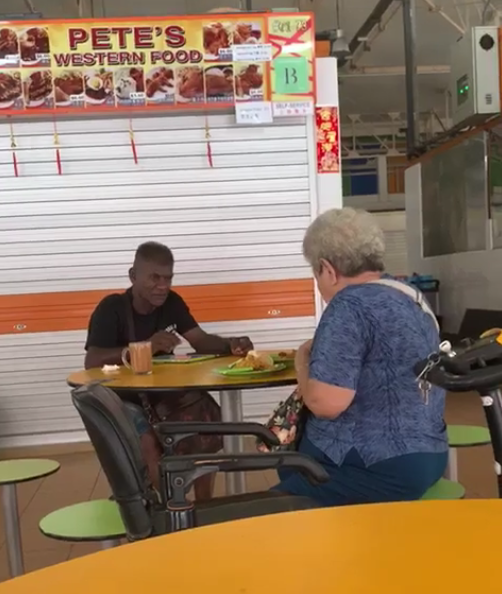 The man’s kindness extended when the food came and he urged her to eat ahead. Auntie could not contain her gratitude as she took her first dig in of the biryani. Truly indeed, one touching act of kindness especially coming from strangers can truly move spectators. 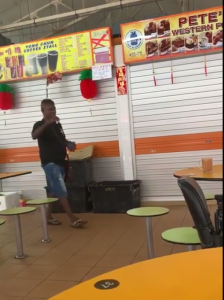 The video made quite the impact on many netizens. 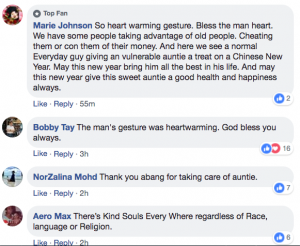 A lot of people have truly appreciated the kindness the man showered upon the woman.